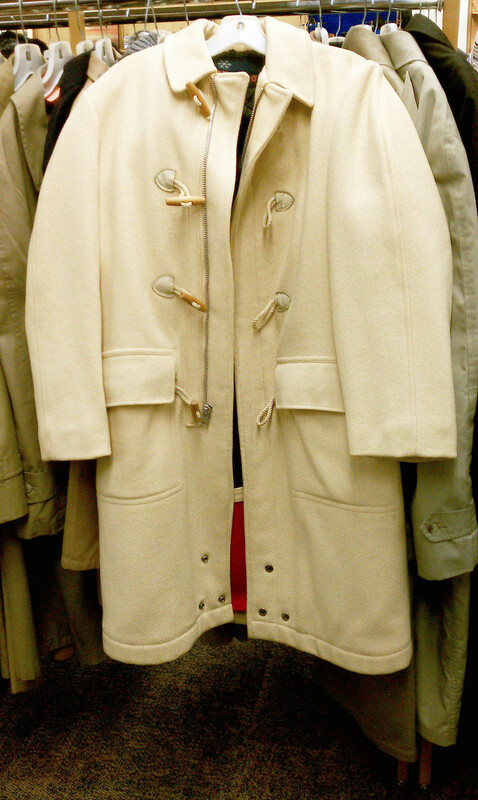 A duffle coat is one of the preppiest items you can own, and it’s been the “in thing” to have for last few years. Really, it’s a classic that never goes out of style. 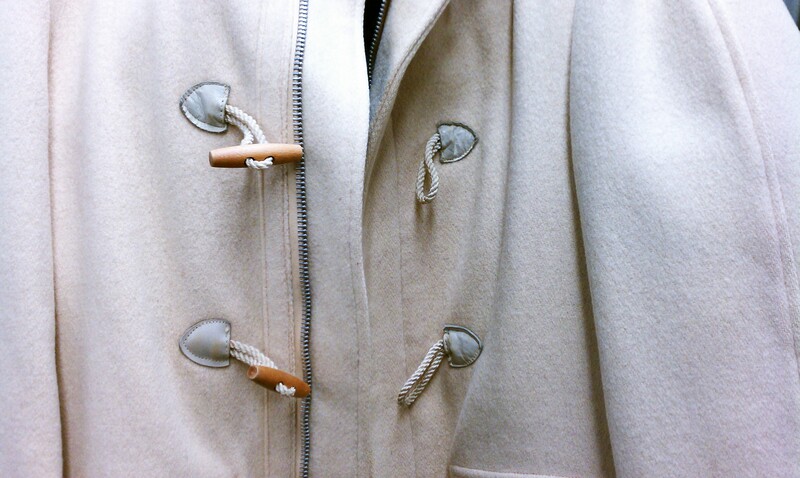 There was a beautiful white 100% wool duffle coat from McGregor on the rack yesterday at Unique Thrift Store in Riverdale, NY. It was a size 36, and the asking price was about $75.00. It happened to be hanging next to a medium cotton trench coat from Brooks Brothers ($79.99), which I’ll post about another time. Both items were too small for me. I’m not sure how old either coat was, but they were in perfect condition as far as I could tell. 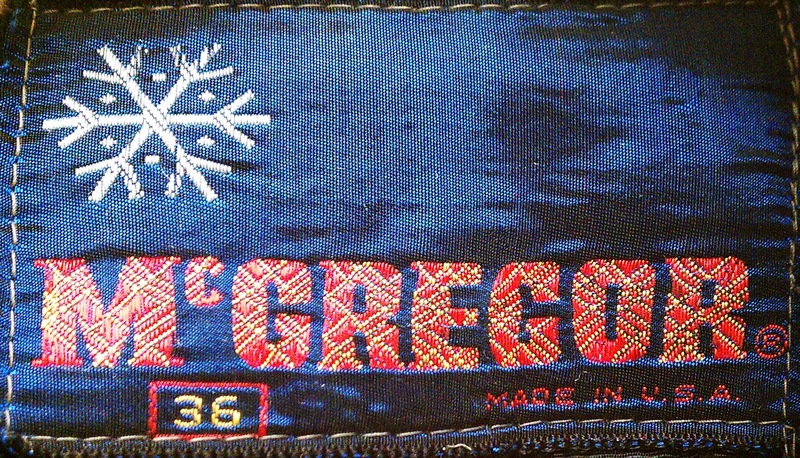 While this McGregor lacked a hood, it did have actual wooden toggles like the ones that appeared on the original duffle coats made for the British navy and marketed to the public by Gloverall after World War II. I’m not sure whether this coat is a vintage item or whether McGregor is still in business, but now I’m curious to find out. 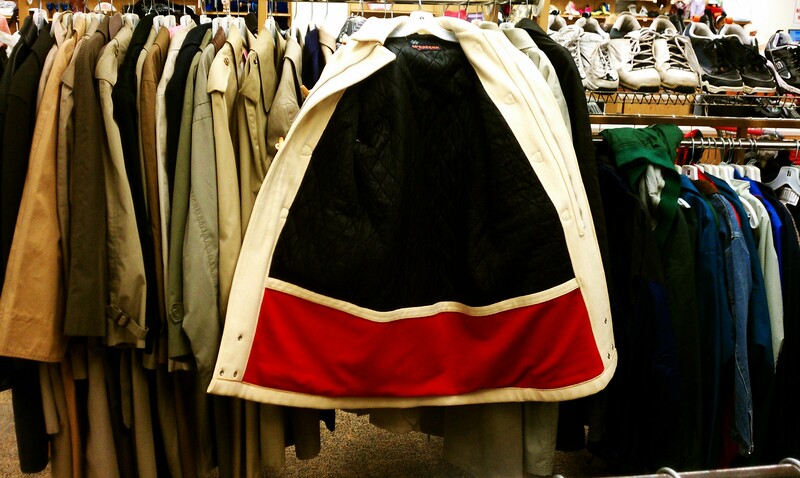 Many New England prep schools bought (or required their students to buy) duffle coats of a certain color as part of the school uniform or dress code. The duffle coat look was prevalent in the 1989 film Dead Poets’ Society, one of my all time favorites, about a group of boys at one very traditional prep school.